LEONARD COHEN: SONGS OF LEONARD COHEN: 1967: 4 1/2 STARS OUT OF 5 STARS: The debut of Leonard Cohen- released in the final week of 1967. Cohen was a poet and a novelist and was 33 years old when he started his career in music. His strength here is his songwriting. His singing/ voice would get better as he aged. Favorite songs here- Suzanne, So Long, Marianne, Master Song and Sisters of Mercy. An excellent beginning to a fascinating career. 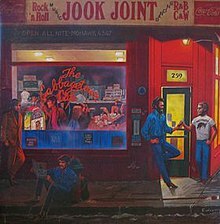 THE BAND: MOONDOG MATINEE: 1973: 3 STARS OUT OF 5 STARS: On Cahoots their previous album there was a song “Where Do We Go From Here”- the answer was a covers album. The Band at the time wasn’t getting along and couldn’t work together so the answer was do a covers album. NEIL YOUNG: FREEDOM: 1989: 5 STARS OUT OF 5 STARS: At the end of the 80’s a rather so so decade for Neil Young he put out his best album since Rust Never Sleeps ten years earlier. Just when some people were thinking they’d never get another great Neil album- he delivers one. Favorite songs- both versions of Rockin’ In The Free World- which opens and closes the album, Crime In The City, Eldorado and Someday. JOHN LENNON&YOKO ONO: MILK AND HONEY: 3 1/2 STARS OUT OF 5 STARS: This was the material John and Yoko were working around the time of John’s assassination. Professional widow Yoko Ono put it together for release in 1984. Mired by the six Yoko songs- Favorites are from John- I’m Stepping Out, I Don’t Want To Face It, Borrowed Time and Nobody Told Me. ELVIS COSTELLO: KING OF AMERICA: 1986: 5 STARS OUT OF 5 STARS: EC’S best album since Imperial Bedroom. His tenth studio album- it was released as an album by The Costello Show. He would release two albums within a year and sounded a lot different from one another. Favorites- American Without Tears, Brilliant Mistake, Indoor Fireworks, The Big Light and Loveable.